Oh, what a time to be alive! You can learn how to do just about anything through a limitless amount of resources found both in person and online. Learning how to play the guitar has never been easier thanks to all of the high-quality platforms available. No matter how you would like to learn based on your preferences and learning styles, there is an option out there. The best way to learn guitar really depends on you. 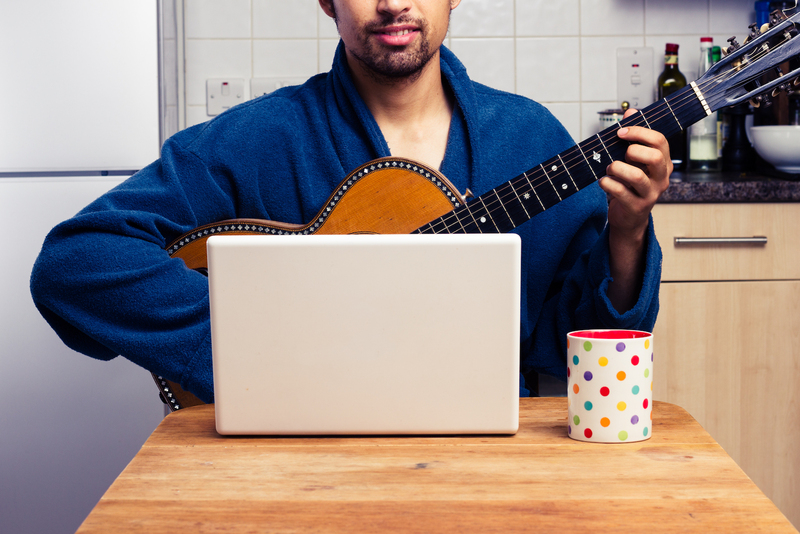 There are plenty of ways to learn how to play the guitar on your own. Books, apps, software, and online lessons are all available to help aid in the guitar learning process. The most effective way to learn guitar is whichever method suits your busy schedule and personal goals. If you are one for tradition and have time to spare, then perhaps seeking out a professional guitar instructor would work best for you. When first starting out, it is crucial that you schedule a lesson at least once a week to both prevent falling behind and to allow the previous week’s lesson material to still be fairly fresh in your head. With a standard in-person approach, you need to be sure that you can carve out the time each week to venture out to the location of your instructor. 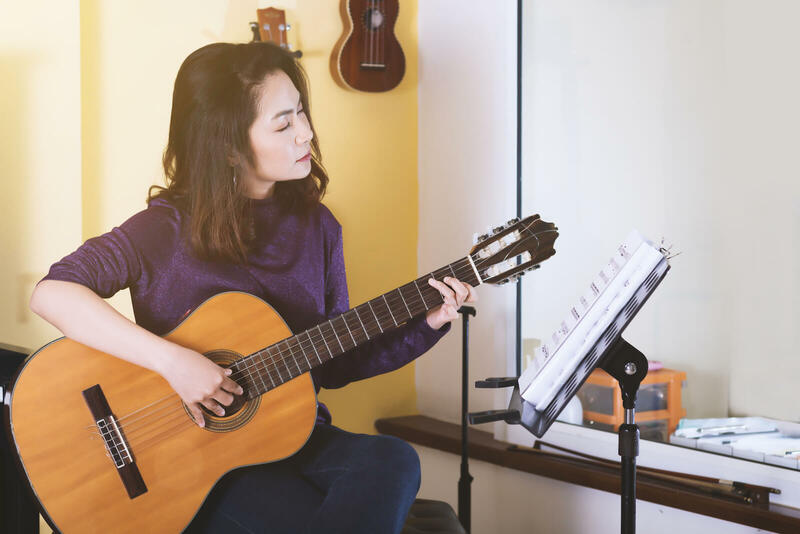 To prevent unnecessary stress and having to rearrange your schedule to fit in your new hobby, there are plenty of platforms available to teach yourself the guitar. If you are really daring, you can even choose to teach yourself guitar without the aid of an instructor. However, do not try to be a hero though, as the process of learning to play the guitar is no small feat. Picking up the guitar and trying to play it without any aids will be nearly impossible. Can You Teach Yourself Guitar? You absolutely can teach yourself the guitar. Just like some people are able to teach themselves calculus without the help of an instructor, it is possible to learn to play the guitar on your own, but it takes a tremendous amount of dedication. Without an instructor’s aid, there is a great chance you will end up scratching your head throughout the process. Fortunately there is no shortage of learning aids available to help fill in some of the gaps, or to effectively avoid the shortcomings of not having access to an in-person instructor. The following tips will provide you with the fastest way to learn the guitar on your own. Even if you are a quick learner you should always learn the basics of playing the guitar. Jumping right into playing chords and eventually, songs, should not be your plan. Without the knowledge of the instrument you are playing, you will be limited in your guitar playing ability in the long run. After you have purchased a guitar you are comfortable with, learn the strings, the fretboard, and where to place your fingers. Strengthening your fingers is also a must. 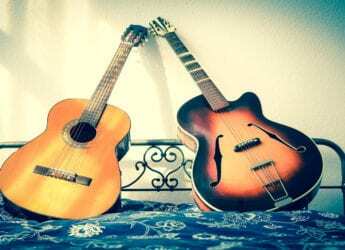 Learning to play acoustic guitar will help increase your finger strength faster than learning on an electric guitar. Amazon has a wide array of guitar books that can help you understand the parts of the guitar and also how to start playing the guitar correctly. Do it yourself books can be very helpful at times, but with the advent of video sharing came much more practical modes of learning such as video and audio resources. 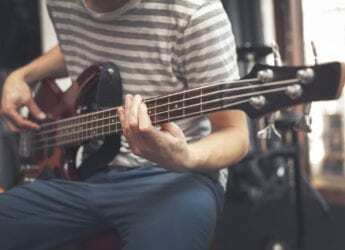 A simple search within the video sharing platform, YouTube, will show a virtually endless amount of videos featuring guitar players from all around the world. It’s a great place to learn the basics of playing guitar, making it a highly-valued resource for any beginner player. 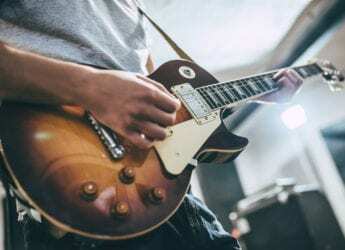 If you are progressing decently on your guitar learning, a slowed down video version of your favorite intermediate level song may be just what you need to get over the hump. If you are an absolute beginner with no experience whatsoever, that is perfectly fine too. There are a tremendous amount of videos on YouTube intended for viewers in your exact same starting position. YouTube can teach you how to start playing the guitar. From learning where to place your fingers on the frets, to even learning what exactly frets are— you can have all of your questions answered through informational YouTube videos. The possibilities are truly endless with YouTube. The only potential shortcoming of this approach is that it can become fairly tough to find videos that fit the order to which you are learning. Unless you find a specific channel that follows a particular beginning guitar player’s progression, it can be very difficult to figure out which video to watch next. For a more regular and regimented learning schedule, it may be in your best interest to pair Youtube guitar lessons with the aforementioned do it yourself guitar books. 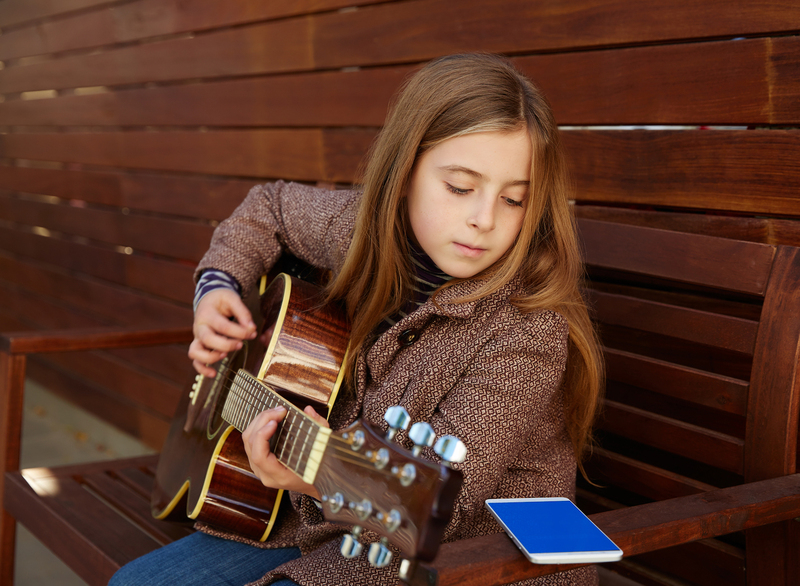 Ultimate Guitar is the best way to learn the guitar via an app. Not only are there exercises to learn the basics, but also easy to follow playing lessons. This is also one of the fastest ways to learn guitar because you’ll have access to these tools anywhere and at any time. Ultimate Guitar provides beginner lessons for strings, chords, notes, tabs, tuning, as well as entire songs. If you want to learn to play the guitar fast, do not skip the basics. If you want to learn quickly, you have to do so efficiently. Trying to play a song before you learn the strings or chords will actually set back your learning. Nobody becomes proficient in learning anything if they try to rush the process. This is especially true with the guitar. Taking it slow and practicing is not only the best ways to teach yourself the guitar, but it is also the fastest and most efficient way to learn. The best way to learn the guitar is to use the tools you have at your disposal. Purchase a do it yourself book to help you with the basics of the guitar. Use YouTube as your own personal instructor. Try Ultimate Guitar to further your understanding of the instrument, while also bolstering your playing ability. Use all 3 of our guitar learning tips comprehensively as a makeshift guitar instructor. Doing so will be the most effective way to learn the guitar. Remember to have fun and don’t stress if you cannot grasp a certain aspect. 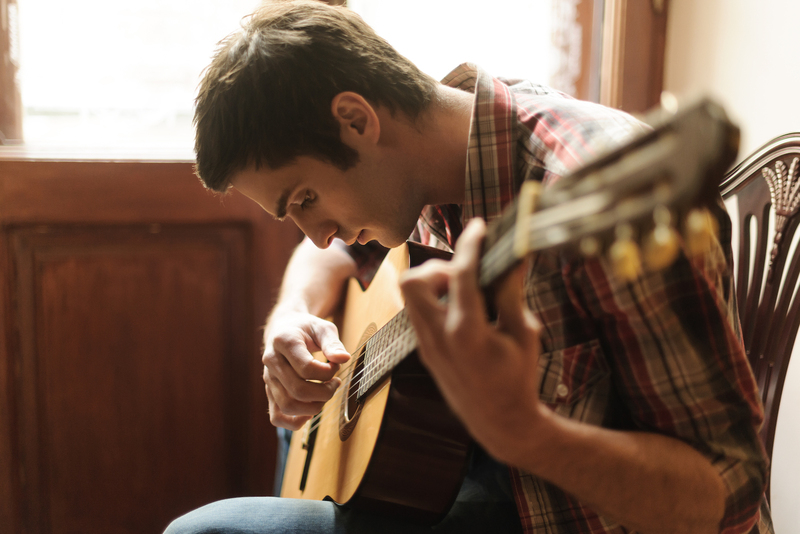 Learning to play the guitar can be difficult, but it should not be stressful. Everyone needs plenty of practice. Stay dedicated, and you’ll be playing your favorite songs in no time. Do you have your own best ways to learn the guitar?